This book was pretty intense. Steven L. Case’s writing style suggested to me how Frank Peretti might write if Frank Peretti was actually any good. For a Christian book, it was pretty edgy, and I liked that. But I don’t think I’m the right audience for it. Micah is an angel. He wasn’t the nicest person while he was alive, but got into heaven on a technicality and now goes out on the more gritty angel assignments when God doesn’t want a nice angel. Also, at night he turns into a flying gargoyle. Or maybe just whenever he feels like it. I’m not sure about that part. Padi is a girl who got in trouble. It’s been a while since I started so I’m not sure for what. Hacking, I think. She writes a blog that tells the story from her perspective. She uses a lot of really bad words. In one of her journal entries, she uses the F word about 8 times in a row. She has an intro to each of her blogs with something like “A blog written about nothing in particular for nobody by somebody who stopped giving a rat’s a** a long time ago.” Case doesn’t bother with the asterisks. I admit, I liked that. Micah gets sent to Philadelphia on assignment as Father Michael Dark. I think he’s supposed to help Padi, or maybe just the neighborhood. He’s rough around the edges – written as rough around the edges the way a secular author might write someone as rough around the edges, not the way, for example, a Jerry B. Jenkins might do it. Again, respect. At night, Father Dark turns into his gargoyle/angel state and beats up drug lords and scares addicts straight. Like Padi, he’s not afraid to use bad words, which I respect in a Christian book. The vibe I get is that he’s not allowed to kill people. Maybe he just doesn’t have the taste for it, or maybe God won’t allow it; I’m not sure. 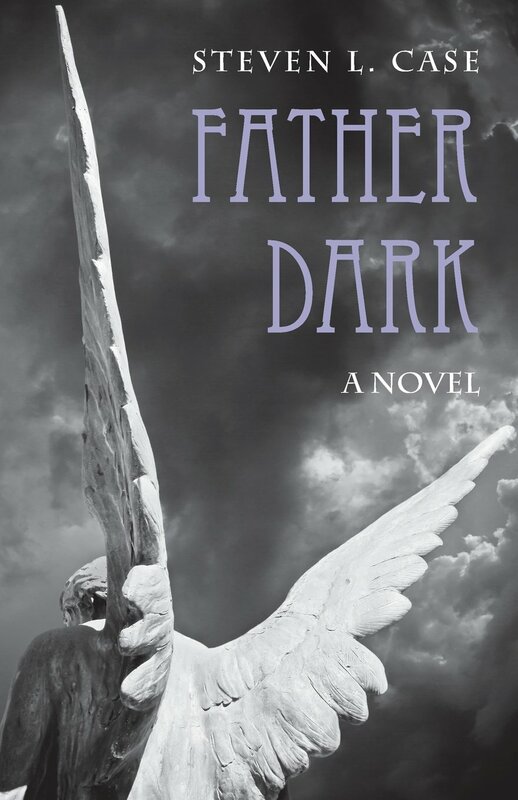 If this were any other book, I wouldn’t be so hard on it, but in the end, Father Dark wins (as the foreshadowing would predict) with a series of violent altercations with the Truly Bad People behind all the other bad people being bad. That’s the part that rubs me the wrong way: the idea of God resorting to violence. There’s a great conversation between Micah and Gabriel toward the end about what it is to be human and to feel that I felt was a bit of a polemic (and a good one!) for using emotional language in Christian fiction the way Case does. Now, don’t get me wrong: there are probably tens of millions of American Christians who would concur that engaging in violence on occasion is God’s modus operandi and who would absolutely love this book (to be clear, I rather enjoyed it myself), but I expect better from God. I expect God’s salvation to come not by might, nor by power, but by the Spirit of God, but in Father Dark, God’s salvation comes by might and power. This vision is no different from popular non-Christian books and movies about angels and demons and the like, but from a Christian author, I expected more. There was also a clever twist where something I should’ve picked up from the beginning very much surprised me, so, points for that. If you don’t dig the theology, it still makes for a good read. I certainly enjoyed it Case is a good writer. Much better than the time I tried to read Frank Peretti. And if you can get past the theology (It’s fiction, mind you! ), you may just enjoy it a lot.